When you think of insurance, the first that comes to mind is auto and home insurance. Replacement of these assets in the event of damage can be very costly. Most people hold auto and home insurance policies. Life insurance is essential to many families, giving extra security if the unthinkable should happen. The loss of a breadwinner is devastating enough, without having the added stress of worrying about how to cover the bills and mortgage. Other types of insurance are equally important. Life events such as illness, accidental injury, loss of employment income, or a death in the family can affect family security. Yet these potential risks to your lifestyle can be reduced by the right insurance planning. Changes in lifestyle also determine the types and amount of insurance you need. The amount of life insurance that you have will likely change throughout your life, depending on your life circumstances. Some of these changes might be getting married, starting a family, changing jobs or preparing for unexpected events. Should you have Term, Universal Life, and Permanent Life Insurance? More information on the three types of insurance . . .
To meet modern trends, life insurance providers also offer to act as an investment vehicle, building up a sum of extra equity over the lifetime of the policy. This can be withdrawn or borrowed against, and usually offers a tax-free sum on retirement or death. Deciding on an amount of life insurance you should have requires careful consideration. A Financial Advisor can help you determine just how much insurance you need based on your age, your income, family circumstances and obligations, assets owned, and debts owed. Question or concern about how much you insurance you need? 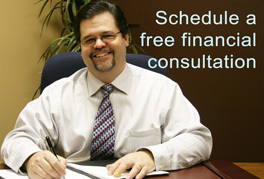 Todd Darling, CFP, of Darling Financial Group serves the greater Three Hills, Alberta area. Long Term Care Insurance provides income should you end up requiring extended care. Long terms care typically includes rehabilitative care, nursing care, personal and in-home health care. Long Term Care Insurance protects you in the event you have to enter a long term care facility. It can also help should you ever require at home health care assistance. The most popular type of long term care policy is one that provides income to you to provide for any type of long term care service. Other types of policies reimburse you for eligible expenses or pay a set daily amount for expenses. Question or concern about Long Term Care Insurance? 30% of adults will become critically ill before the age of 65. The Canadian Cancer Society reports that almost 40% of women, and almost 45% of men will develop cancer during their lifetimes. In Canada, more people will experience a critical illness before they reach 75, than will die before that age. What would you do if you, or a family member became critically ill? How would an illness affect your financial security? Critical Illness Insurance helps ease the financial burdens caused by a serious illness. A Critical Illness Insurance Policy provides a lump sum cash payment to you upon diagnosis of a life threatening illness, such as heart attack, cancer, or stroke. Many policies make that payment 30 days after the diagnosis of certain specified life-threatening diseases such as cancer, stroke and heart attack. With the lump sum payment from your policy, you can use the payment received from your policy in any way that you need to – for costs of care and treatment, home health care, debt payments, or replace income due to inability to work. Almost 40% of women, and almost 45% of men will develop cancer during their lifetimes. Approximate 1 in 4 Canadians will die from cancer. An estimated 166,400 new cases of cancer and 73,800 deaths from cancer will occur in Canada in 2008. Three types of cancer account for the majority of new cases: in men: prostate, lung, colorectal; in women: breast, lung, colorectal. 30% of new cancer cases will occur in young and middle-aged adults ages 20-59 in their more productive stage of life. There are an estimated 70,000 heart attacks each year in Canada. The leading cause of hospitalization in Canada is heart attack and stroke (15.4% of hospitalizations). 6.9 of Canadians between the ages of 50-64 are living with some form of heart disease or circulatory disease. Approximately 19,000 Canadians die each year as the result of a heart attack. Most of these deaths occur out of hospital. More than 50,000 strokes occur in Canada each year. That’s one stroke every 10 minutes. For every 100,000 Canadian children under the age of 19, there are 6.7 strokes. About 300,000 Canadians are living with the effects of stroke. After age 55, the risk of stroke doubles every 10 years. A stroke survivor has a 20% chance of having another stroke within 2 years. Of every 100 people who have a stroke, 75 will survive and have long-lasting disability as a result. * Conditions covered by Critical Illness Insurance, depend upon the type of policy you purchase. Question or concern about Critical Illness Insurance? Term, Permanent, and Universal Life Insurance. Term life insurance is the most traditional and best-known form of personal coverage, paying out to the policyholder’s dependents in the case of death. The main advantage of this insurance is that it is lower priced initially than other types of insurance, but it offers few other benefits. This type of coverage typically operates for a fixed term of 10 to 30 years, depending upon the policy, and pays out the benefit amount if the policyholder dies. Permanent life insurance offers coverage for a lifetime, with a guaranteed payout upon death. You choose the death benefit that will be paid upon death. You make payments in to the policy fund. So that any amount you pay into the fund on top of the premium is invested and building up a cash sum over time. This cash investment enables the value of the death benefit to increase, or allows loans to be taken against the policy, with many people seeing this as a viable income stream for their retirement plans. Universal life insurance offers an extremely flexible middle way, combining life cover with the chance to build up an investment income, at a lower cost than fixed permanent life cover. This type of cover can be very flexible and allows payments be varied, depending upon the current financial circumstances of the policyholder. Money paid over and above the normal premium can be used to either increase the cash value or increase the death benefit. The three types of policies: TERM, UNIVERSAL, and PERMANENT insurance offer different benefits depending upon the needs of the policyholder. The most affordable option, a simple Term policy, offers temporary coverage, but no other investment potential, and is usually a prerequisite when taking out a mortgage or a large loan. Permanent and Universal Life Insurance are more flexible, offering tax-free investment potential alongside the lifetime coverage, allowing money to be invested into the death benefits or the investment account. It is always important to seek independent financial advice before committing to any major financial decision and to be aware of all the long term investment opportunities available. One of the easiest ways for you to make an informed decision before you buy life insurance is to sit down with a Financial Advisor to evaluate your situation. A Financial Advisor can help you determine the type of insurance coverage that is best for your unique situation. Question or concern about Life Insurance?